What does WWME mean by "marriage" and "couple"? What is a Worldwide Marriage Encounter? The Worldwide Marriage Encounter Weekend is a positive and personal experience offering married couples an opportunity to learn a technique of loving communication that they can use for the rest of their lives. 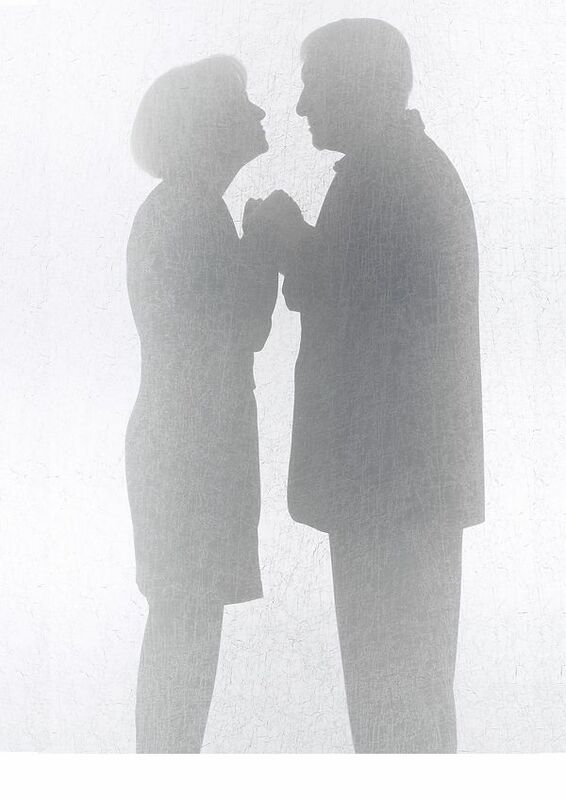 It is a chance to look deeply into their relationship with each other and with God. It is a time to share their feelings, hopes and dreams with each other. The emphasis of the Worldwide Marriage Encounter weekend is on the communication between husbands and wives. The weekend provides a conducive environment for couples to spend time together, away from the distractions and tensions of everyday life, while encouraging them to focus on each other and their relationship. It is not a retreat, marriage clinic, group sensitivity, or a substitute for counseling. It is a unique approach aimed at revitalizing Marriage. This is a time for you and your spouse to be alone together, to rediscover each other and together focus on your relationship for an entire weekend. Every marriage deserves that kind of attention! What is the difference between Residential and Parish-based/Non-Residential weekends? A Residential weekend (most WWME® Weekends are Residential weekends) provides a relaxing environment in which the spouses are able to utilize their private hotel or retreat center room overnight and during the day with plenty of room to work on their relationship. The separation from daily worries is carried throughout the weekend and allows the couples to focus only on each other. On a non-residential or parish-based weekend a private space is assigned, but usually a classroom without the comforts of a bed as there is no overnight stay. Couples will need to travel home each night and commit to being back for the start of the next day’s sessions. While the residential option is ideal because it shelters couples from all home distractions, the non-residential is very attractive and makes the weekend experience possible for couples who may not have a babysitter who can watch a child overnight. Why is it called a Worldwide Marriage Encounter? The movement began as a way of improving communication between husbands and wives. But as insights grew, is became apparent that the techniques used in the sessions could benefit anyone whose vocation involves close, caring communication with others. What happens on a Worldwide Marriage Encounter Weekend? A series of presentations is given by a team of Catholic couples and a priest. Each presentation allows you to look at yourself as an individual, and then to look at your relationship to those with whom you live and work and to whom you minister. Finally, you are led to look at your relationship with God, the Church as a whole, and the world. Married couples view all these relationships in terms of their own vocation, but the principles are freely applicable to the priesthood and religious life as well. The atmosphere is relaxed and non-invasive. Most participants say they are hardly aware of the others in attendance. What is this "dialogue" that I keep hearing about? Dialogue between the marriage partners enables them to examine and "test out" the new principles of loving communication they are learning in the course of the weekend. It is a simple matter for a priest who is making the weekend to arrange informal, comfortable dialogues with another priest. We encourage you to make the Encounter weekend with a priest friend. If this is not practical, however, you may find it helpful to dialogue with another priest who is making the weekend, or with the priest on the ministry team. Any married couple who desires a richer, fuller life together. A marriage can never be too good. Worldwide Marriage Encounter is designed to deepen and enrich the joys a couple share together, whether they have been married for only a short time, or for many years. Priests and other religious are also welcome and encouraged to attend! Is there a specific religious orientation to the Weekend? Worldwide Marriage Encounter does present God as a focus for successful Marriage. There are many faith expressions of Worldwide Marriage Encounter Weekends - Catholic, as well as several Protestant denominations. While the Weekend may be presented in a given Faith expression, each is open to couples from other orientations. The opportunities of the Weekend go beyond the boundaries of any one expression. Does the Weekend respect the privacy of each couple? The weekend is oriented strictly to each individual couple. You concentrate on your spouse to such an extent that you are hardly aware of the other couples present. The presentations are given to the group as a whole. After each presentation, the husband and wife have time in the privacy of their room for their own personal discussion. There is no group sharing on the weekend. What does the weekend cost? On the weekend, you will be asked to make a donation. This donation will cover the expenses of lodging, food, and materials for the Weekend. A non-refundable fee of $100.00 is required to confirm your application, food and lodging. There is limited capacity, so early registration is encouraged. PLEASE NOTE: No couple is ever denied the chance to renew their marriage because they are facing financial difficulties. This concern should not influence your decision to attend a Worldwide Marriage Encounter Weekend. Worldwide Marriage Encounter is a tax-exempt organization. The Internal Revenue Service has ruled that donations made in connection with the Weekend, including the non-refundable deposit mentioned above, are deductible only to the extent that the contribution exceeds the amount of goods and services received. Information as to that amount will be given to couples attending the Weekend. 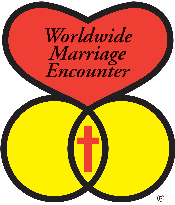 Contributions made on or in connection with the Worldwide Marriage Encounter weekend are made confidentially. How does this weekend enhance a marriage? The Worldwide Marriage Encounter Weekend teaches a communication technique which permits each couple to explore important areas of their relationship in a spirit of love and understanding. By continuing the newly acquired technique begun on the weekend, husband and wives coninually grow closer together to live more joyful and purposeful lives. How do I apply for a Weekend? Use the "Apply for a Weekend" button and fill out all the information, selecting your first and second choices, and following all the instructions on the page. Submit the application, and make payment of the Application Fee using the instructions provided to ensure your spot on the Weekend is held. If your Weekend is being held at a hotel, it will *not* be necessary to make a reservation on your own. That is done by Worldwide Marriage Encounter. Why should priests and religious attend a Weekend? The primary benefit for priests and religious who attend a weekend, is a better understanding of Family Life Ministries within their parishes/churches. Furthermore, there is a very high correlation of couples who attend a Weekend, and later become actively involved in their parish communities. This is primarily due to a better understanding for their Sacrament of Holy Matrimony. Those attending a Marriage Encounter weekend learn not only about the sacrament of Matrimony, but also learn of the sacrament of Holy Orders. Collectively the Sacraments at the Service of Communion... or union (Catechism of the Catholic Church, ch. 3, Pt. 2). The weekend in all reality is focused on the integral relationship of both sacraments, their similarities, and their collective benefit to the Church and our Catholic community. Compound these intrinsic benefits with statistical success... the divorce rate in the United States today is 52%. The divorce rate among couples who have attended a Marriage Encounter Weekend is less than 2% nationwide. We have a dream that all Priests and other religious in our diocese experience a Weekend. These individuals subsequently recognize that couples and clergy who attend a weekend have a deeper understanding and appreciation of themselves, their spouse (or community if religious), and their relationship with God. Our goal is to have more Priests and religious attend the weekend, to appreciate their ministry, and perhaps find new ways to help assist married couples in their parishes. How will a WWME® Weekend specifically enhance and enrich my life as a priest? The Encounter weekend teaches a communication technique that allows each person to explore their relationship to the "significant other(s)" in their lives. For spouses, that means each other. For you as a priest, it means everyone you have dedicated your life to serving. This new way of communication is both specific and adaptable. You will be able to use it in virtually every relationship and situation.. I am needed in my parish on the weekends. Can WWME® help me get a replacement so I will be free to attend a weekend? We are in the process of building a network of priests, by encounter, who are willing to fill in for others who wish to attend a Weekend. If you need such assistance, indicate this when you call or send in your reservation. And plan to spend some time with us soon, to expand and deepen your priestly communication.